- Meet EN1570 norm and ANSI/ASME safety standard. - High quality power unit made in Europe. - Upper platform lifted with aluminum safety bar preventing descent on contact with obstructions. - Internal power pack equipped with relief valve against overloading and compensated flow valve for controlled lowering speed. - Heavy duty cylinders with drainage system and check valve to stop the lift table lowering in case of hose burst. - Safety clearance between scissors to prevent trapping during operation. - Self lubricating bushings on pivot points. 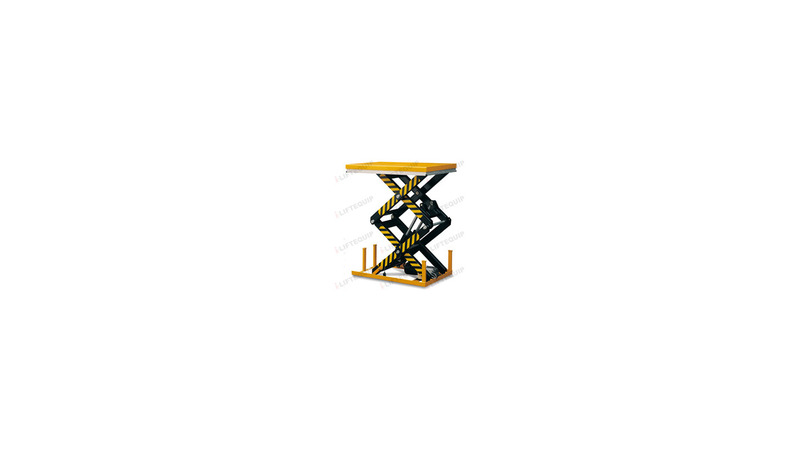 - Removable lifting eye to facilitable handling and lift table installation.